Developed by NetEnt, Wild Turkey will transport you to a village of turkeys inhabited by a turkey chief, turkey warriors, turkey beauties and turkey priests. 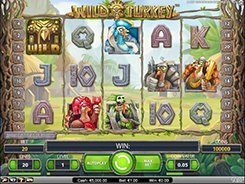 The slot features 5 reels, 20 paylines, stacked wilds, regular wilds and free spins. 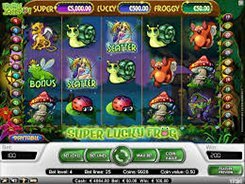 A bet size is configured in a wide range from $0.01 to $100 per spin, and the number of paylines in play is adjusted, too. 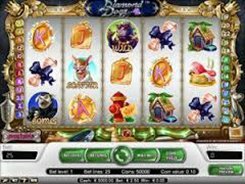 Unlike most other slots, this particular game has no dedicated scatter symbol, but it has a special icon depicted by the Idol that combines functions of a wild and a scatter. As a wild, the Idol replaces for other symbols and helps create winning combinations. As a scatter, the Idol triggers the round of free spins if three or more land in any place on the reels. Hitting five Idols will award a stunning 60 free spins! 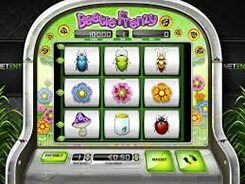 During the free spins feature a stacked wild can land on the reels. 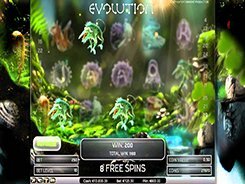 If appeared fully covering all three positions on the reels, the stacked wild awards two extra free spins. The top three prizes you can win in the game are $20,000, $10,000 and $5000 accordingly.